Chromebooks are a popular choice for many due in part to their relatively low costs, lightweight designs and easy-to-navigate interface. Where they occasionally fall short, however, is allowing you to run software that you may have become accustomed to on your Mac or Windows PC. One such application is Apple’s iTunes, which allows you to manage all of your music across multiple devices. Unfortunately, there is not a version of iTunes compatible with Chrome OS. Hope is not lost, however, as you can access your iTunes library from a Chromebook with a fairly simple workaround involving Google Play Music. In order to access your iTunes music on a Chromebook, you first need to import the songs to your Google Play library. Before doing anything, you first need to install the Google Play Music app on your Chromebook. Download and install Google Play Music by clicking the ADD TO CHROME button. When prompted, select Add app. After a brief delay, the Google Play app installation will be complete and a confirmation message will appear on the bottom right-hand side of your screen. Now that the Google Play app has been installed, you'll need to activate the Music service by following these steps. Launch the Google Play Music web interface in a new tab. Click on the menu button, located in the upper left-hand corner of your browser window and represented by three horizontal lines. When the drop-down menu appears, select the Upload Music option. A new screen will now appear with the heading Listen to your iTunes music with Google Play Music. Click the NEXT button. You will now be required to enter a form of payment in order to verify your country of residence. You will not be charged anything if you follow these directions accordingly. Click on the ADD CARD button. Once you've provided valid credit card details, a pop-up window should appear labeled Google Play Music Activation accompanied by a $0.00 price tag. If you already have a credit card on file with your Google account, this window will appear right away instead. Select the ACTIVATE button when ready. You'll now be asked to select the musical genres that you like. This is an optional step. When done, click on NEXT. The following screen will prompt you to choose one or more artists that you like, which is also optional. Once satisfied with your selections, click on the FINISH button. After a brief delay you'll be redirected back to the Google Play Music home page. 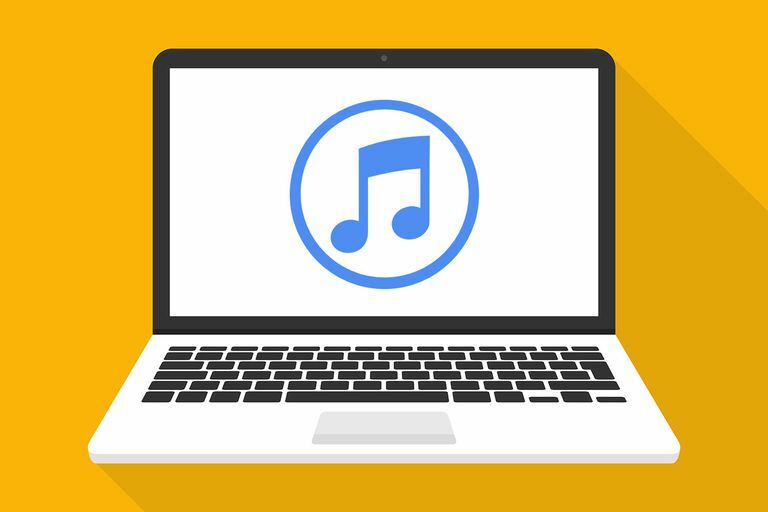 With Google Play Music activated and set up on your Chromebook, it's now time to copy your iTunes music library to Google's servers. The easiest way to do this is by using the Google Play Music app. On the Mac or PC where your iTunes library resides, download and install the Google Chrome web browser if it is not already installed. Navigate to the Google Play Music app page and click on the ADD TO CHROME button. A pop-up will appear, detailing permissions that the app requires to run. Click on the Add app button. Once installation is complete you'll be taken to a new tab that displays all of your Chrome apps, including the newly-installed Play Music. Click on its icon to launch the app. Navigate your browser to the Google Play Music web interface. Click on the menu button, represented by three horizontal lines and located in the upper-left hand corner. When the drop-down menu appears, select the Upload Music option. The Add music interface should now be displayed, prompting you to drag individual song files or folders to your Google Play Music library or to select them via Windows Explorer or macOS Finder. For Windows users, your iTunes song files can typically be found in the following location: Users -> [username] -> Music -> iTunes -> iTunes Media -> Music. On a Mac, the default location is usually Users -> [username] -> Music -> iTunes. While uploading, a progress icon containing an up arrow will appear in the lower-left hand corner of your Google Play Music interface. Hovering over this icon will show you the current upload status (i.e., Added 1 of 4). This process can take a while, especially if you're uploading a large number of songs, so you'll need to be patient. Your iTunes songs have been uploaded to your newly-created Google Play Music account and your Chromebook has been configured to access them. Now comes the fun part, listening to your tunes! Return to your Chromebook and navigate to the Google Play Music web interface in your browser. Click on the Music library button, represented by a musical note icon and located in the left menu pane. Select the SONGS heading, located directly under the Google Play Music search bar near the top of the screen. All of the iTunes songs that you uploaded in the previous steps should be visible. Hover your mouse cursor over the song that you wish to hear and click on the play button.